Starplan Bedrooms guarantee to repair or replace any part of a bed deemed to be defective due to faulty materials or workmanship as long as the bed is within the 12 month guarantee period. Models sold with an inclusive extended warranty period will be subject to a usage charge payable prior to delivery of any replacement mattress. Starplan defines a bed as a Full Divan Set or a Starplan Mattress & Bed Frame purchased together. Please examine your bed carefully on delivery and report any damage to your Starplan showroom within 72 hours. Our standard Terms & Conditions of Sale apply. All guarantee & warranty periods begin from the date of delivery. If you suspect that there may a fault with your bed, please consult the section “Caring for your Mattress” in the Customer Handbook. If you still feel there may be a fault please then contact your Starplan showroom and arrange for a bed inspection. Inspections will usually take place within 14 days. Repairs or replacements may take up to 6 weeks to complete. A one year guarantee against faulty materials or workmanship applies to the Dream Master Deluxe, Dream Master Ortho, Dream Master Memory, Duchess Deluxe, Duchess Supreme, The Wiltshire and The Kent models, Special Promotional beds, any bed not named below, any bed sold as clearance or ex-display, any mattress purchased on its own, any divan base purchased on its own, Starplan Bed Frames, Lift-up Ottoman Bed Frames and Lift-up Ottoman Divan bases. Any mattress deemed to be subject to faulty materials or workmanship during the first year will be repaired or replaced free of charge. A one year guarantee against faulty materials or workmanship applies to the Pillow Select 3000, Viscount Deluxe, The Dorset and The Devon models. Any mattress deemed to be subject to faulty materials or workmanship during the first year will be repaired or replaced free of charge. Should the bed be deemed to have developed a fault or faults after the first year of ownership the mattress will be repaired or replaced subject to the following usage charges: In year 2 – 40%, in year 3 – 60%, in year 4 – 80%, of the current retail price. A one year guarantee against faulty materials or workmanship applies to the Albany 2000, Rochester, Baroness Deluxe, Marquis Deluxe, Countess Visco, The Cleveland, The Berkshire and Countess Latex models. Any mattress deemed to be subject to faulty materials or workmanship during the first year will be repaired or replaced free of charge. Should the bed be deemed to have developed a fault or faults after the first year of ownership the mattress will be replaced subject to the following usage charges: In year 2 – 20%, in year 3 – 30%, in year 4 – 40%, in year 5 – 50%, in year 6 – 60%, in year 7 – 70%, in year 8 – 80% and in year 9 – 90%, of the current retail price. The mattress has been used without a mattress protector. The product has been damaged accidentally after delivery. The mattress has not been cared for and maintained in accordance with our “Caring for your Mattress” guidelines. All reasonable efforts will be made to match fabrics and colours where an item is repaired or replaced, however, a match cannot be guaranteed. Where the repair or replacement of a bed is not possible we will offer you the opportunity to choose an alternative product. If you select a product which is more expensive than the nearest equivalent you will need to pay the difference. If less expensive we will refund the difference. Inspections and deliveries can only take place within our usual delivery areas and times. Please let your Starplan showroom know if you have moved home since your original delivery. The guarantee and warranties only apply within our usual delivery areas within the mainland UK and Northern Ireland. For your peace of mind, Starplan Bedrooms are Full Members of The Furniture Ombudsman Service. Starplan Bedrooms will always honour your statutory rights. Applies to all Starplan mattress & beds purchase from 1st September 2016. We guarantee our goods against all manufacturing defects or installation issues for up to 10 years after the work has been completed. You have properly cared for and followed any instructions provided by us and used the goods for the purpose they were intended. You inform us as soon as possible after discovering a problem that you wish to claim for under guarantee. You inform us within a reasonable time of your installation of any scratches, chips or blemishes that can be seen from 1 metre away, in natural daylight and from a normal viewing angle and provide photographic evidence of the fault or issue. The furniture was delivered and assembled by Starplan Bedrooms. The guarantee is personal to you and is not transferable. The furniture has not been altered, tampered with or interfered with by any person not authorised to do so by Starplan Bedrooms. 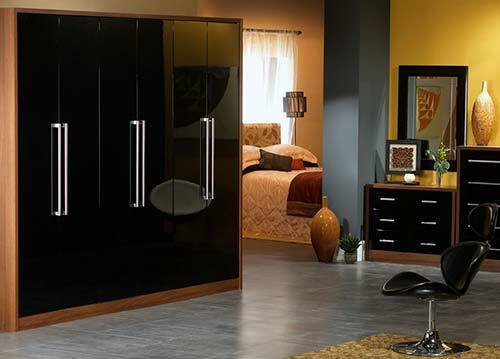 Any repair work must be undertaken by Starplan Bedrooms. The furniture has not been used or installed for commercial purposes. Doors, drawer fronts, pilasters, MDF panels & tops are covered for up to 6 years. Carcasses and cabinets are covered for up to 10 years. Cornicing, pelmets and MFC panels are covered for up to 10 years. Soft-close door hinges, drawer runners and drawer boxes are covered for up to 10 years. Non-soft-closing door hinges, drawer runners and drawer boxes are covered for up to 5 years. Handles and knobs are covered for up to 10 years. Accessories, mirrored glass and lighting are covered for 12 months. Fabrics and Leatherettes are covered for up to 5 years. Any damage caused by wear and tear. Natural fading of colour or tone caused by prolonged exposure to direct sunlight or heat. Any scratches, chips or blemishes visible from 1 metre away that are reported after a reasonable time from the date of your installation. Any accidental or malicious damage or damage resulting from misuse. Any movement of furniture, infills or tops caused by movement of the premises structure after 60 days from installation or any settlement of furniture if built on the carpet. Doors and drawer alignment adjustments after 60 days from installation. Fitting or refitting of handles, knobs, hanging rails and other small items. Starplan cannot be held responsible for any slight variations in colour or tone between items replaced under guarantee and original items which may have been subject to natural fading over time. Any damage that may occur to décor, flooring or ceilings caused during removal, replacement or refitting of goods is the responsibility of the customer to make good. Starplan Bedrooms may repair, replace or refit parts as required. Should specific parts or finishes not be available Starplan reserve the right to supply or fit alternative parts or to offer a partial refund or appropriate price reduction. Any such refund or reduction will be at the company’s discretion. All claims under the guarantee should be made in writing or by email to one of the regional addresses below. The claim should include the original invoice number, your full address with postcode, your contact telephone numbers and photographic evidence of the fault or issue. Proof of purchase will be required and must be provided to substantiate a claim. Should Starplan Bedrooms be required to carry out an inspection to validate a claim a charge of £40 will be payable when arranging the inspection. The validity of the claim will be confirmed within 7 days and if the claim is determined to be valid the £40 inspection charge will be refunded in full. Starplan Bedrooms will aim to rectify all valid claims under the guarantee within 6 weeks from receipt of any claim. Should this not be possible Starplan will keep you updated accordingly. If you would like any of the following works which are not covered by guarantee to be carried out by a trained Starplan Bedrooms Fitter, we can arrange this at a cost of £40 per room/visit (including the first hour’s labour) plus £40 per additional hour or part hour. Replacement of shelf pegs, hanging rails, handles, accessories or lighting. Repair of accidental damage parts. Any parts or items required under Aftercare by Starplan will be subject to charge. A quotation can be provided upon request. Nothing within these guarantees affects your statutory or common law rights as a customer. We guarantee our kitchen furnishings against all manufacturing defects or installation issues for up to 20 years after the work has been completed. The kitchen and goods guaranteed were purchased directly from and delivered and assembled by Starplan Kitchens. The furniture has not been altered, tampered with or interfered with by any person not authorised to do so by Starplan Kitchens. Any repair work must be undertaken by Starplan Kitchens. Carcasses are covered for up to 10 years. Soft-close door hinges, drawer runners and drawer boxes are covered for up to 20 years. Accessories, wirework, glass panels and lighting are covered for 12 months, or in line with manufacturer guarantees. Electrical appliances, gas appliances, sinks and taps are covered for 12 months, or in line with manufacturer guarantees. Laminate worktops are covered for 12 months, or in line with manufacturer guarantees. Any damage caused by water ingress, prolonged exposure to steam, prolonged exposure to radiant heat, or direct contact with high or excessive temperature. Fitting or refitting of handles, knobs and other small items. Work carried out by third party individuals or contractors, or damage caused by such work, irrespective of provenance. Starplan Kitchens may repair, replace or refit parts as required. Should specific parts or finishes not be available Starplan reserve the right to supply or fit alternative parts or to offer a partial refund or appropriate price reduction. Any such refund or reduction will be at the company’s discretion. All claims under the guarantee should be made in writing or by email (Please see how to contact us below). The claim should include the original invoice number, your full address with postcode, your contact telephone numbers and photographic evidence of the fault or issue. Should Starplan Kitchens be required to carry out an inspection to validate a claim a charge of £40 will be payable when arranging the inspection. The validity of the claim will be confirmed within 7 days and if the claim is determined to be valid the £40 inspection charge will be refunded in full. Starplan Kitchens will aim to rectify all valid claims under the guarantee within 6 weeks from receipt of any claim. Should this not be possible Starplan will keep you updated accordingly? If you would like any of the following works which are not covered by guarantee to be carried out by a trained Starplan Kitchen Fitter, we can arrange this at a cost of £40 per visit (including the first hour’s labour) plus £40 per additional hour or part hour. Replacement of shelf pegs, accessories, handles, knobs. If you are experiencing issues with your purchase we will try to resolve any issues that you have as quickly as possible and if necessary we will explain how to follow our complaints procedure.